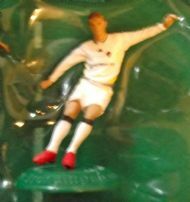 The creation of a football game around a collectable series of football figures - exactly the same system as Corinthian 'big head' figures used. This is the 5 a side set, 11 a side is also available. 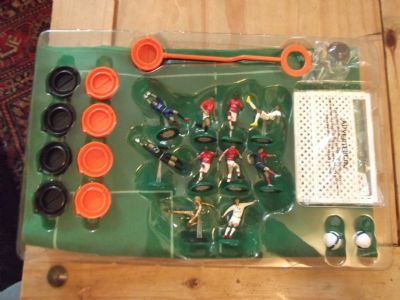 Great box showing all contents in the window. 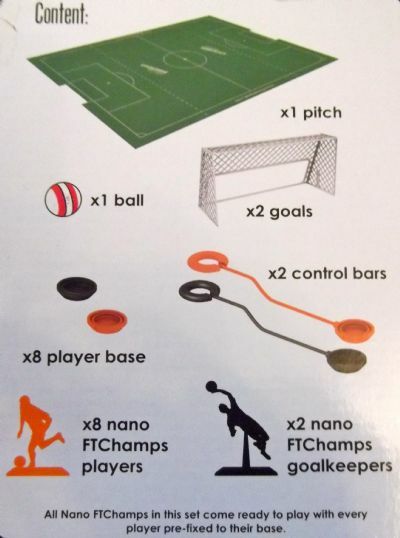 Nice set containing 10 figures and bases, pitch, balls, goals and rules. PLUS A golden Ronaldinho no less. 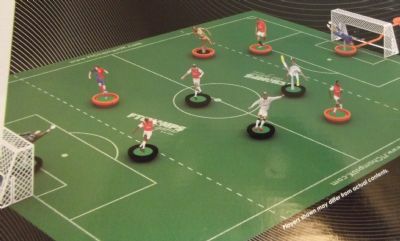 A great big biffers game of Subbuteo! More for effect than great gameplay. 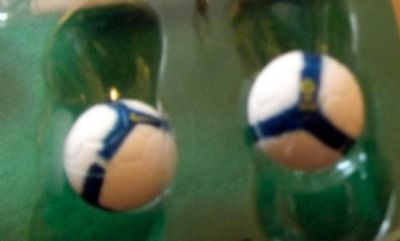 The best bit about the game - two very bouncy, spongy match balls in soft foam. 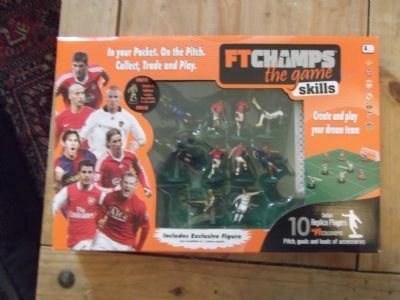 The game contents as shown on the box. With boots like that he is surely a friend of Dorothy? 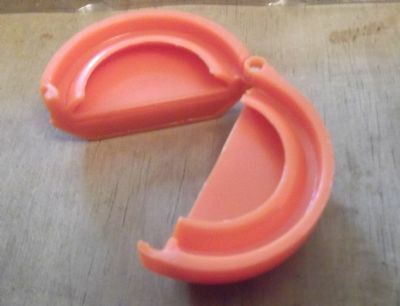 Huge hemispherical bases with metal hinges!